NDūR's Fire Steels & Strikers are easy and safe to use . 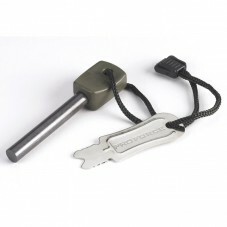 Used by avid outdoormans, survivalists and military members all over the world. Will light a fire or ignite the fuel in a camping stove in rain or snow Generates a 5400°F (3000°C) spark Approved, preferred and recommended by survival experts worldwide.